The bicycle is a simple machine, made from a basic recipe: two wheels and a triangle. But when engineering finesse and artistic flair intersect, this humble mode of transportation is elevated to a work of art. 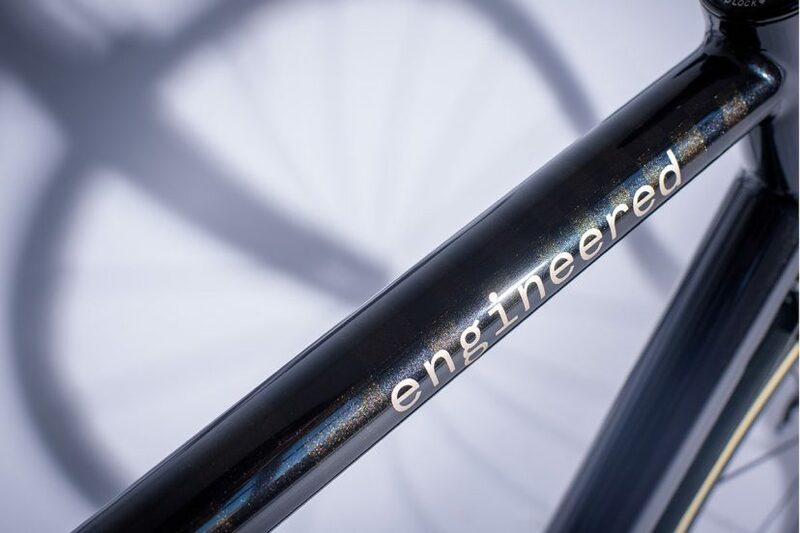 Engineered Bicycles are masters of this craft. Run by chartered engineer, David Fong, and graphic designer, Adrian Ridley, the Bristol-based bicycle maker produces bespoke cycles that would make big brands blush. Here’s an in-depth look at what makes this acclaimed outfit tick. 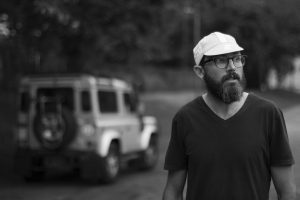 Traffic Magazine: David, you’re originally from South Africa—how did you end up as a bike builder in the UK? David Fong: I was born in Swaziland but mostly grew up in Durban. I started fiddling with bikes not long after I started riding, and worked in a bike shop workshop to get the money together for a nice road bike when I was in my mid-teens. I got into racing a bit at school and when I was at uni studying mechanical engineering—it always seemed like a natural career choice for me. 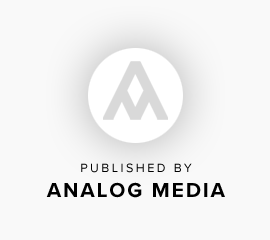 In my 20s I got quite heavily into my other passion—cars—and through racing cars got to learning a lot about race engineering and race car development. I moved to the UK about 10 years ago, and rediscovered my love of bike riding. 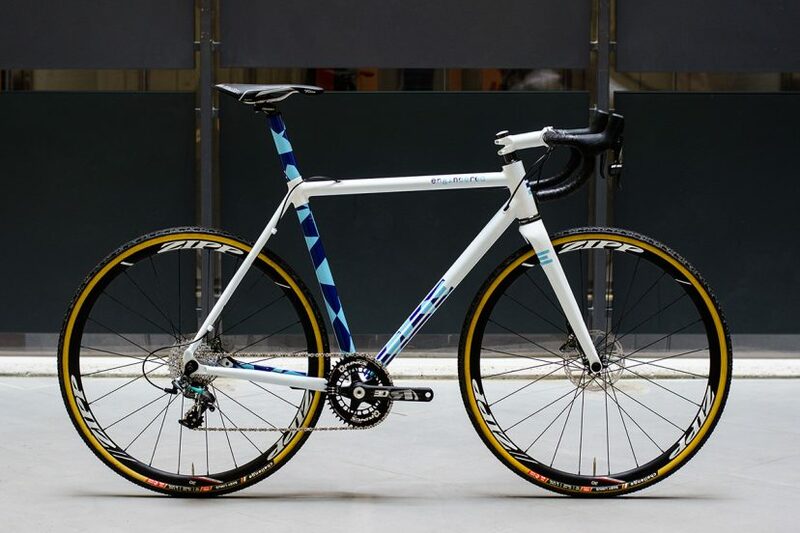 It was living in London and being frustrated by the shortcomings of my daily ride, that I set about designing my own bike; this being a titanium disc road machine, back in 2009. Adrian, would be accurate to describe you as a designer with a keen interest in machines? Adrian Ridley: Pretty much that! There’s not really been a time when bikes weren’t a part of my life—either riding with friends or racing in various disciplines. I can distinctly remember being drawn to the visual aspect of bikes from a young age, and seeing the factory BMX teams in the late 80s; in hindsight, these clearly resonated with me. Combining bicycles and design was a gradual process that began with running a cycling and design blog with a friend, through to being invited to redesign the Bristol South CC club kit, which is how I popped up on David’s radar. What was your first bike, and did you cycle competitively? Adrian: I was a bit small for a Raleigh chopper so ended up with its younger sibling, a yellow Raleigh Budgie. Its small front and large rear wheel meant I could pull wheelies for days! 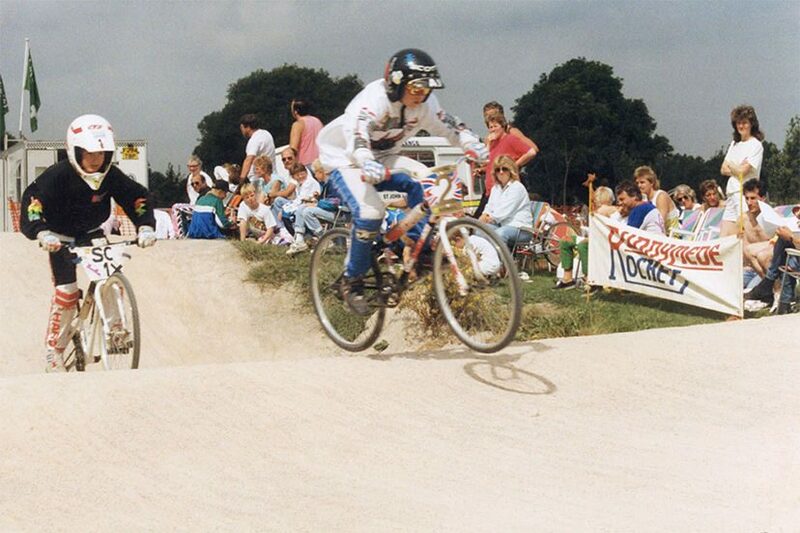 I started racing BMX aged seven on a Mongoose Expert—cro-mo at its finest! David: I also had a Mongoose Expert, but never raced BMX. At one point I converted it to run a 3-speed hub gear. Can’t remember my first bike; it was a hand-me-down and it was red. 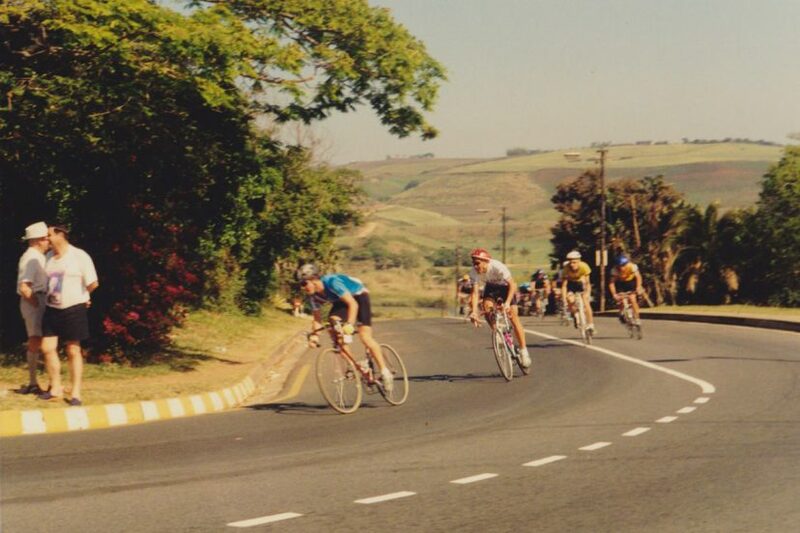 My first race was when I was 14—it was a time trial and it was awful, just not my thing. I did road racing after that and through university, but never particularly seriously. I picked it up again in London, competing regularly in the Tuesday and Thursday night crits at Palace and Hog Hill. I always found Palace particularly exciting partly because it is a very tricky circuit, but also because it was part of the original motor racing circuit. How did the idea of building your own bike come about? David: It all started when I wanted what I thought was the ideal commute bike, and found it didn’t exist on the market. 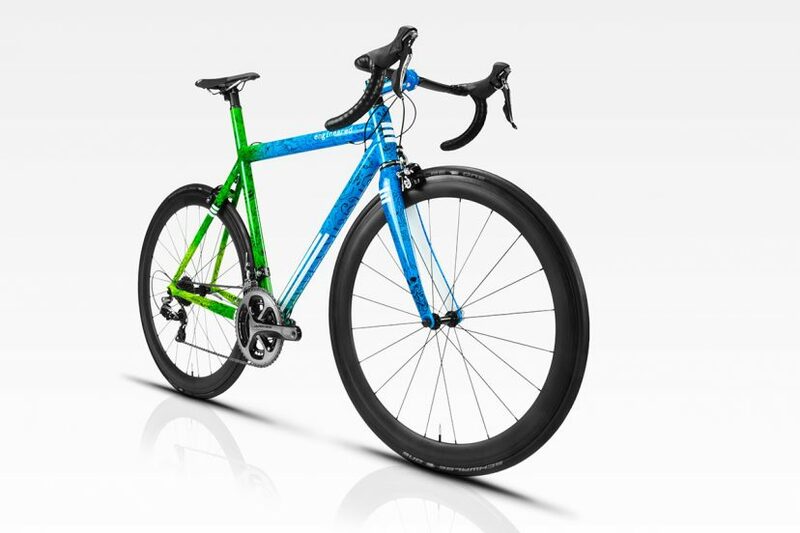 I wanted a road bike with disc brakes, the ability to run a hub gear with a belt drive as well as conventional derailleur gears, and made of titanium. Being an engineer I figured ‘how hard can it be,’ and set about looking for the best way to build this bike. I considered building the frame myself but decided against it because of the time it would take it get to the skill level I’d need to do the job in titanium to the standard I wanted. So I got someone to build it for me and that set the ball rolling. Adrian: I’ve been a sucker for custom bikes from the day a great friend of mine brought home his custom-built Reynolds 653 Hansom back in the early 90s, so joining the dots—and with the encouragement of friends—I realised I could bring something a bit different, in terms of approach, to custom bicycles. A partnership between a mechanical engineer and a graphic designer seems like the perfect intersection of art and technology. How has the relationship influenced the ethos of EB? Adrian: The ethos of the company was established quite quickly. This was down to David and I having the same approach to answering a design brief. A customer’s needs are firmly at the centre of everything and our ideas take form by solving their problems or creatively answering their requests. It’s very much form-follows-function for both of us. David: Right from the start it was about engineering and rational judgement at the heart of how we approach everything—hence the name. 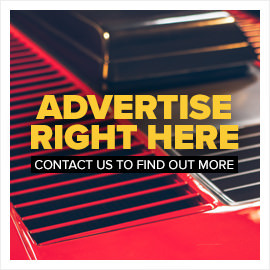 But you’re right, Ade’s creative input is the perfect complement to this, and has had a big part on forming our ethos. 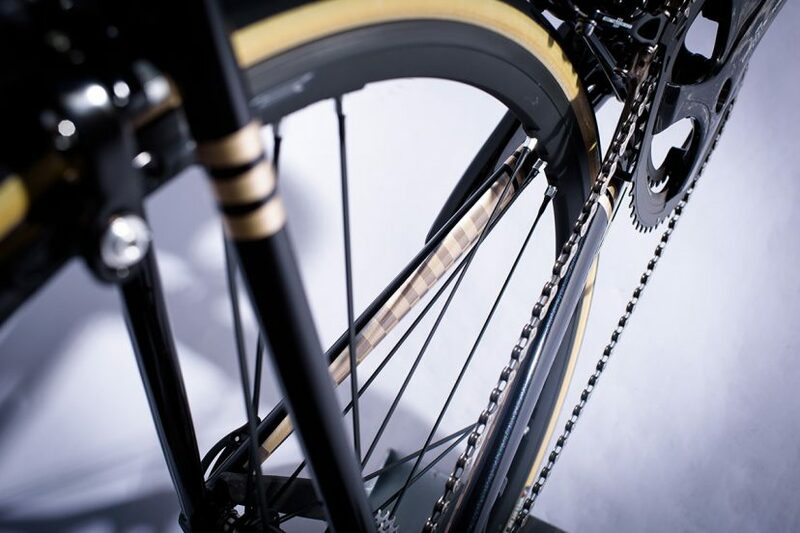 What does building a bespoke bicycle entail for a customer—is it like going to a tailor? Adrian: A tailor is a good analogy and one that our customers have used. David: It always starts with a conversation to understand what someone really wants out of their custom bike, but probably more what it means to them, as often it is being built to mark a special occasion. Once we understand the client’s vision—and needs—we set about collaboratively agreeing a specification. We set out the options, much as a tailor would do, and then work out what would be best. How involved in the detail a customer gets really depends on the customer—some want to get stuck into the details where others are happy to keep the brief fairly high-level. This usually involves a lot of emails; it does test my filing skills! Where it makes sense, we work with a fitter to get the ideal dimensions and then we set about designing and building the bike. From order to delivery is usually 16-20 weeks, but it can be longer depending on just how complex and unusual the build is. 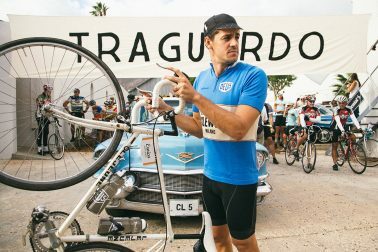 Adrian: From my side of the desk, I am able to take the aesthetic of the bike further than that of a suit by using it as a blank canvas on which to tell a story that is personal to, or reflects, the customer. As an example, one of our customers is a 70s child who has a soft spot for Porsches. As a response, I redrew the limited-edition Pascha interior pattern and subtly applied it in the paint design, as well as on the custom-made saddle cover and bar tape. The highlight colour for the bike was an original 70s Porsche gold. David: This build went on to win a ‘Best Campagnolo Build’ rosette at Bespoked 2017. Adrian: Cycling is a broad church, so to speak, so our customers don’t necessarily fall into a demographic. The one thing that they all have in common though, is that they are passionate individuals who love cycling and often have a cycling goal in mind. This could be a targeted event, discipline or an idea that requires something which is not available off-the-peg. What links them all is that they want something special, tailored perfectly to them, that will enhance their cycling experience. Who physically makes the frames, paints them, and builds the bikes? David: For each step of the process, we work with craftsmen who we feel are best suited and skilled to do the task. 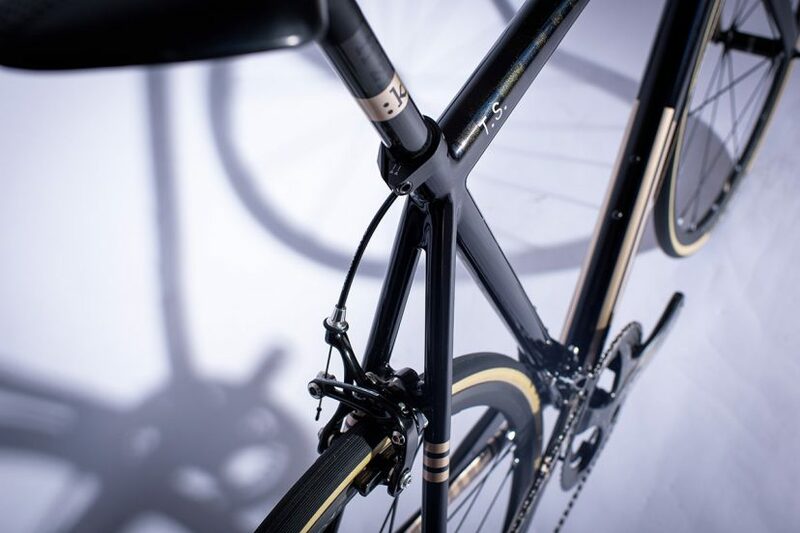 As an example, our alloy frames are built a frame builder based near Vicenza in Italy who started out as a specialist in aluminium frame production—but we use different builders who are specialists in different materials. We do the painting locally in Bristol—in our short time of operating we’ve realised that it is hugely important to be able to have conversations face to face, as paint is rarely straightforward. For the final build, depending on how busy we are, either I build the bikes or, more often, we work with a local mechanic who runs his own shop and has a very detailed approach that I trust. How many bicycles have you built so far, and do you have any favourites? David: As we speak we’ve completed 30 with a good few in progress. Favourite bike? 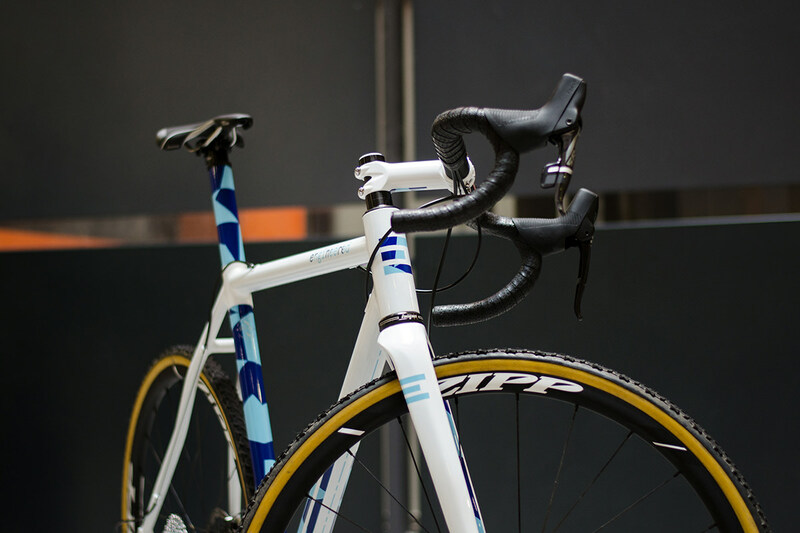 Excluding the bike I built for myself for my 40th—a classic road bike, Columbus HSS and Spirit tubing, Campagnolo Record groupset—my favourite of all our customer bikes must be the cyclocross race machine we built for Graeme. For Graeme, it was all about performance, so we pushed ourselves to make it awesome, revising our basic cyclocross platform in the process. 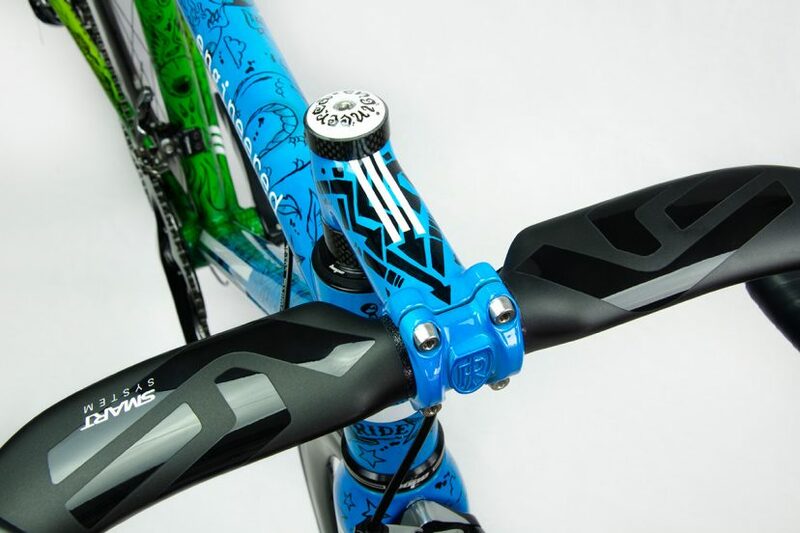 Ade translated Graeme’s vision for the bike perfectly into a very functional but exciting paint scheme. I love it. You already have a few awards on the wall—what’s your proudest moment? Adrian: Don’t get me wrong, the awards and reviews are great and they have really helped our customers in their decision making. For me though, the best moment is delivering a bike to a customer face-to-face and seeing their reaction. 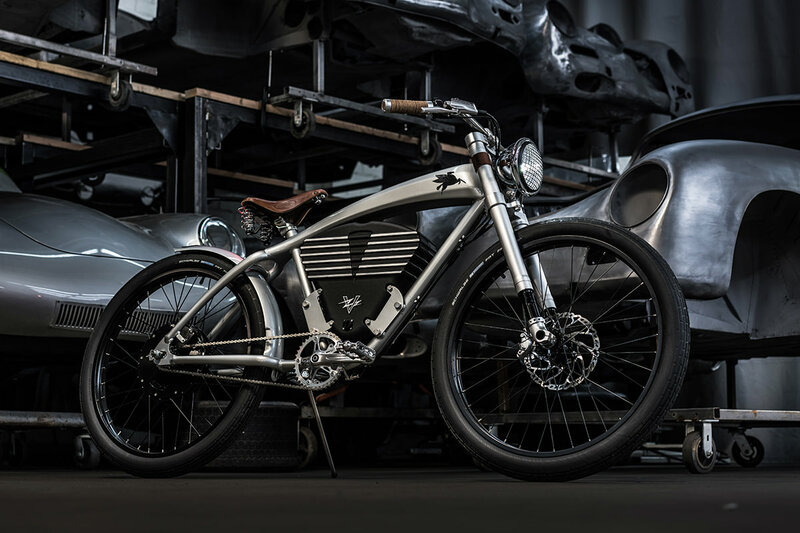 Being able to make someone grin from ear to ear (or even blush) with a bike that we have produced in collaboration with them is a great thrill. David: Ade is one hundred percent spot on. The best moments are handing the bikes over. But I think the proudest moment for me was getting a great review in ProCycling for the Donder. The reviewer was someone whose views and critique I have long respected—to get a glowing review from him was quite a special moment. David: The cycling industry is very competitive and, although the market is growing, it is still quite a challenge to establish a new brand in this market—to stand out from the noise. It is also hugely diverse—the big boys dominate but I think it is exactly this that creates the opportunity for small players like us. So many of our customers tell me that they’re fed up with the same-sameness of all the big brand stuff. One thing that does excite me is the opportunity to do new things and always innovate. 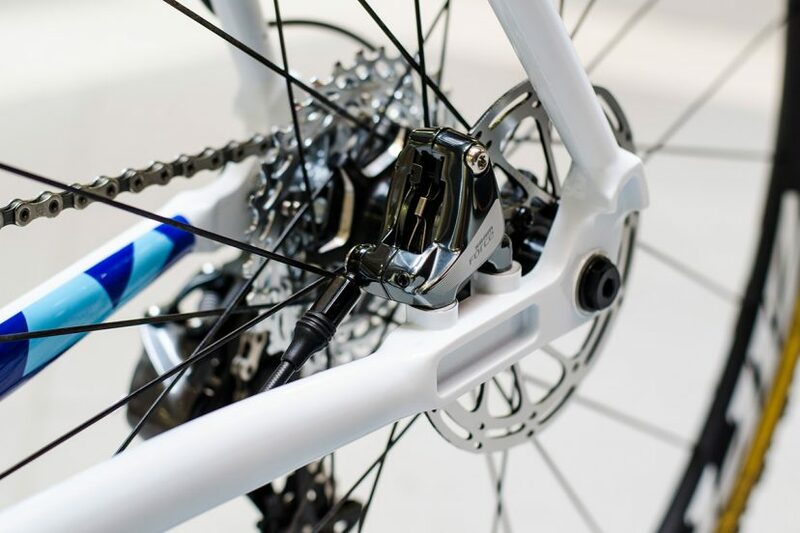 Bike technology is always moving, and that presents inspiration and opportunities to build bikes in ways that simply haven’t been thought of before. Adrian: For me the biggest lessons have been on the marketing side of things. Naturally we don’t have the R&D budgets of the big boys, and neither of us are the type to naturally blow our own trumpets, so we are always surprised when companies shout about aspects of their bikes that are standard procedure for us. The words custom and bespoke are becoming overused as the bigger companies try to be perceived to provide a more personal service to the point that they are losing their true meaning. It means we are having to work extra hard to get our message across. Is EB considered a sideline—does it keep you both busy? Adrian: I could easily make it a full time job with all the things I want to do. As the order book grows, the reality of this is getting closer and closer. David: The intention has always been to grow it into a sustainable smallish company. I think we’re both lucky to be freelancing in our respective fields while we’ve been developing the company and grazing our knees, as one inevitably will do in starting something new. Things have ramped up quite quickly this year and we have exciting developments on the horizon. R&D can be expensive, and there must be a lot of pressure on the smaller builders to keep ahead of the curve. 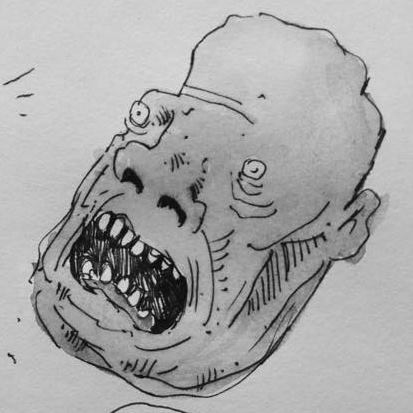 How do you test and refine the final product? David: For our ‘platform’ builds—the discipline specific, customisable templates we start from to build a customer bespoke bike—we start with how the bike will be ridden, and I set about designing the bike to suit that type of riding. 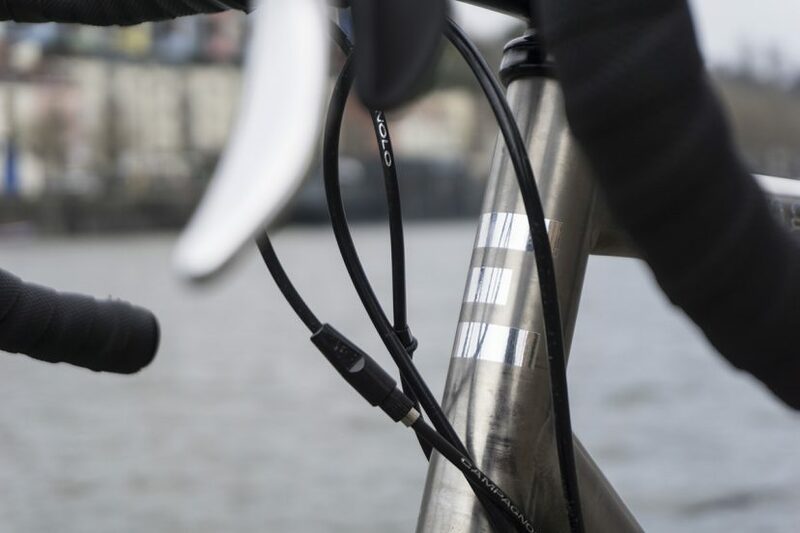 That includes selecting the tubing, working out the geometry of the frame and the details such as clearances, cable routing, etcetera. This process is a combination of technical knowledge and experience. Once the basic design is complete, we build large size frame, ride it to get a feel for the prototype and then send it for independent certification according to the ISO4210 standard. Inevitably there are small tweaks to be made before we build customer bikes, and sometimes iteration is needed. This process is relatively costly for a small company like ours but it is important to me as a chartered engineer—working to standards and ensuring suitability and safety of the final product is paramount. This also gives our customers increased assurance in our bikes. 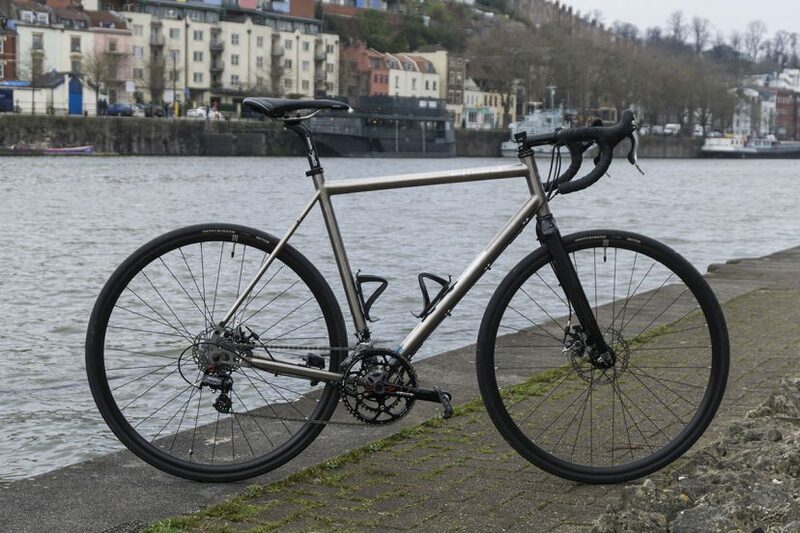 You use steel, aluminium and titanium on your builds—how do you decide when to use what? 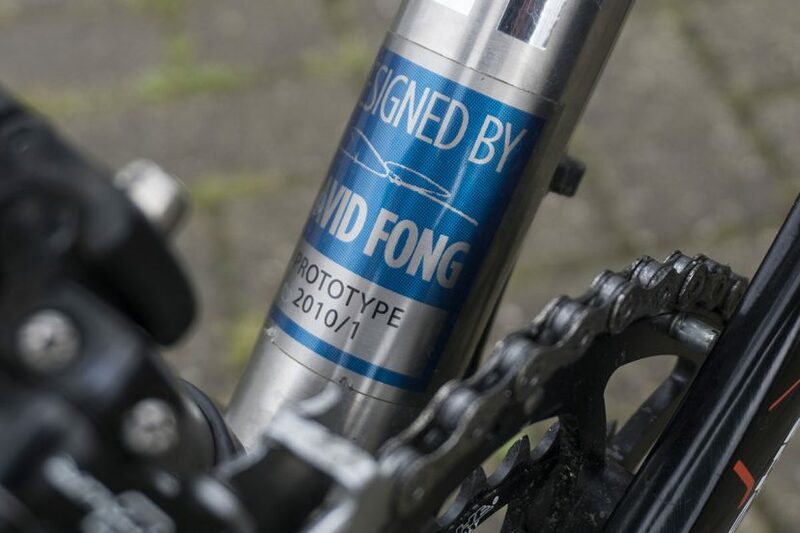 David: As our name suggests, I approach each bike design from a very rational perspective. So material choice really is about what material has the combination of characteristics to best deliver on the priorities for a given bike. 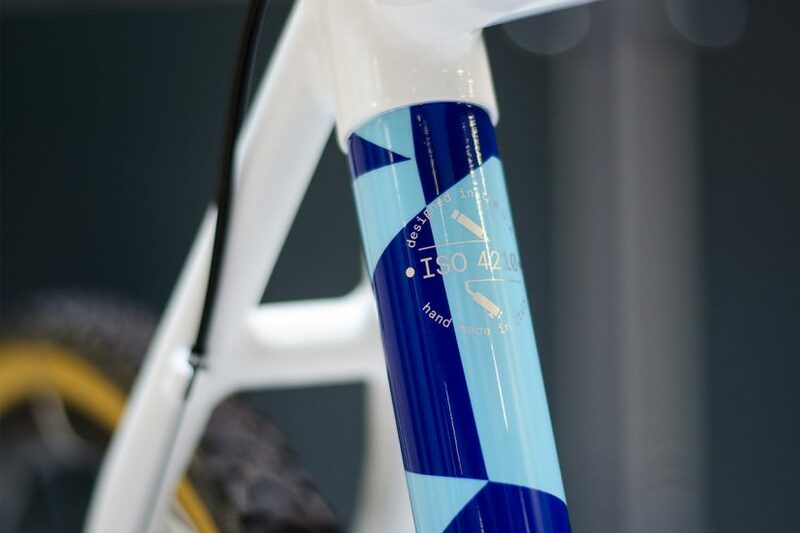 Frame material is an oddly emotive topic and many people, and frame builders, fixate on material before they even consider the type of riding a bike will be used for. I prefer to start with priorities and work back. All that said, within reason, you can build a good or a bad bike from any material for any purpose. Many of the preconceptions about materials like titanium is smooth, or aluminium is stiff, simply are not true. In my opinion, it is about appropriate design. What are your preferred components on the final build up? Adrian: We both have our personal preferences (the Shimano versus Campag argument is alive and well at Engineered HQ! ), but when it comes down to it, it’s about using what is going to deliver the best performance for our customers’ budgets, and then doing our best to make it all hang together in a meaningful way. For instance, a set of Zipp 404s with a Campagnolo Super Record groupset, for us, just doesn’t sit well. David: For our builds we definitely pay a lot of attention to keeping the look, feel and emotion of the build consistent. The parts also need to be fit for purpose and enhance rather than detract from the objective for the bike—for example, I’d question a customer wanting a super stiff bar and stem combo on a Gran Fondo bike. That said, for my own bikes, I have a definite preference for Campy—and THM finishing kit, if I could afford it! Is there a synergy with your suppliers—are they all small shops like yourselves? David: I think it is generally true that they are small players—apart from the component suppliers, of course. Adrian: The painters we work with are all small outfits or individuals. It means that I am able to develop a close relationship and understanding with them. 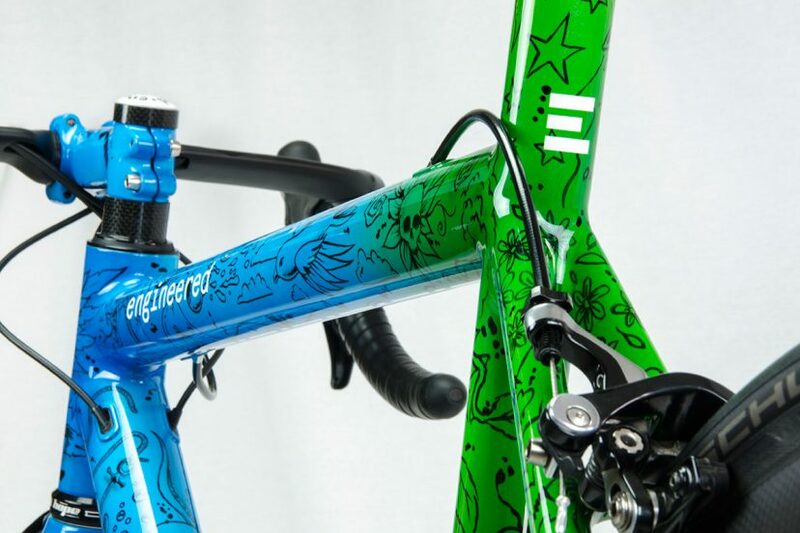 Tim at TJC Design has got to know me so well, that for the bike he painted for last year’s Bespoked show he took my branding and application, put his own twist on the overall concept and totally nailed it—all the while refusing to tell me what he was doing! The bike subsequently won Best Finish at the show. Another small bike builder, Keith Bontrager, launched several accessories and components before eventually being bought by Trek—has that got you thinking? David: This is an idea that I’ve toyed with a few times, and we have produced a few bespoke components along the way like 3D printed Garmin mounts for special applications. But I think that it is just too early to realistically consider this. For now, we need to focus on establishing our bicycle business before venturing into new areas that will take too much of our very limited time. I always had the feeling bicycles are personal objects, functional heirlooms in a sense. Like a wristwatch, a well crafted bike can last a long time. Thoughts on the future of Engineered Bicycles, and of bicycles in general? David: This is a very interesting question and one I ponder from time to time. I agree that bicycles should be personal. We interact with them so closely, and even if they are mass produced, we adjust them finely to our tastes so riding someone else’s bike always feels wrong. But I’m not sure if all bikes should necessarily be designed to last a lifetime. For race focussed machines, this could result in bikes that are overbuilt for their primary task and therefore compromised. 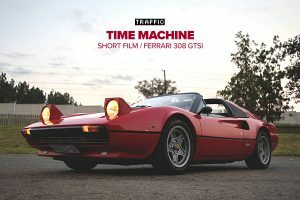 A quote that has always stuck in my mind is when Colin Chapman said something along the lines of “if a car holds together any longer than a whole race, then it is too heavy.” I definitely don’t subscribe to this extreme approach, but I’m conscious of not overbuilding race or performance-focussed machines. Of course, I design to the ISO4210, which includes fatigue testing, so I’m confident even our race frames will last.